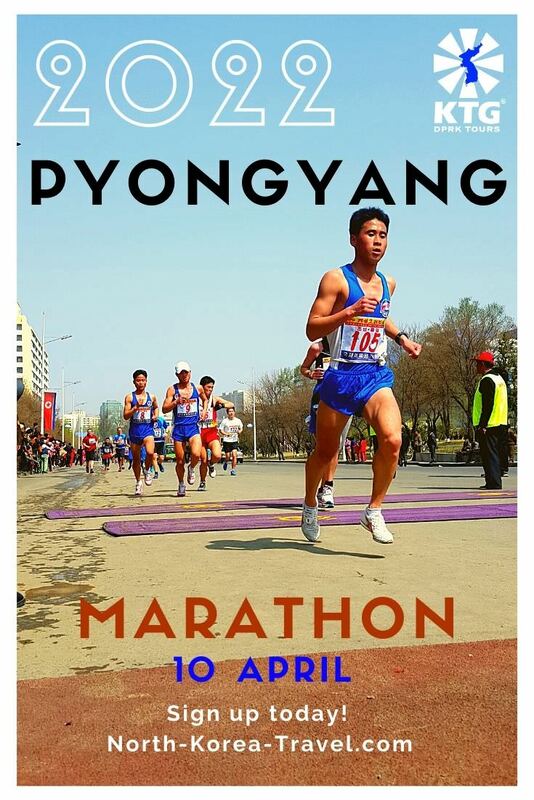 Masikryong Ski Resort Marathon + Pyongyang Cycling tour! Half and amateur marathons in this pioneering event! Be amongst the first to run the Masikryong Half Marathon and ride by bike in Pyongyang! 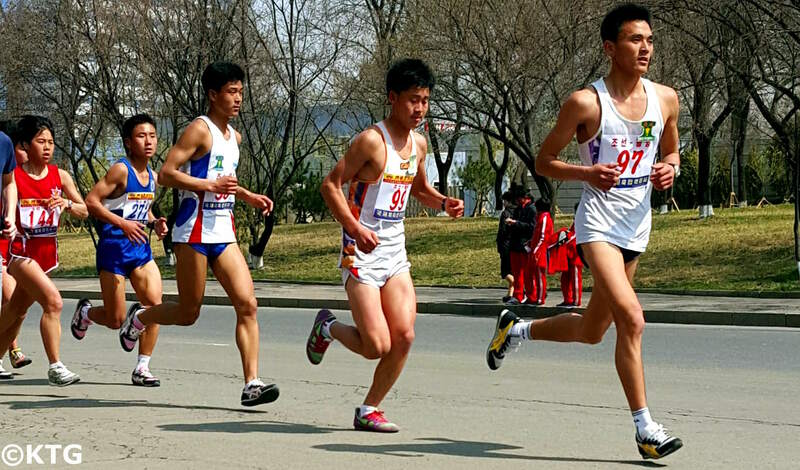 The DPRK tourism authorities will be arranging the very first Half Marathon to be held in the Masikryong Ski Resort! This event is open to amateur Korean and foreign runners and KTG® have been invited by the Korean tourism authorities to promote it to our travellers. This tour will allow you to not only see the capital, Kaesong city, the DMZ and Sariwon city, but you will be able to explore the east coast of the DPRK and be the first to participate in this pioneering sporting event in North Korea! A chance not to be missed! Victorious Fatherland Liberation War Museum - impressive building explaining the DPRK version of the Korean War to the smallest detail. The museum is new (it used to be in the building adjacent to it). It has a revolving panorama of battles, original weapons and vehicles used in the war and real sized wax statues amongst others. USS Pueblo - US spy ship captured in 1968. It is held as a trophy in Pyongyang. 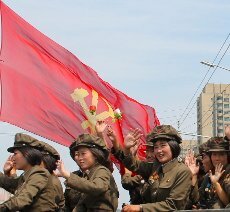 The crew was held in the DPRK for about 11 months before being returned to the US. Juche Tower - chance to go up the 150 metre tower (170 metres including the torch) that offers a panoramic view of Pyongyang. 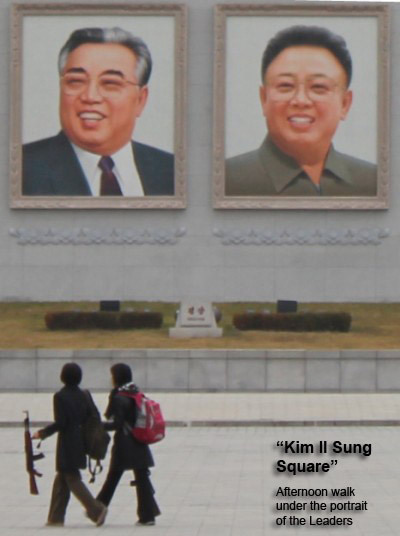 DPRK Bookstore - a short walk away from Kim Il Sung Square. 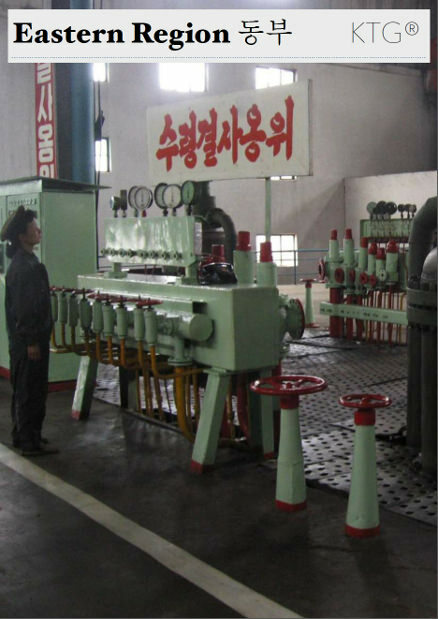 We will have the chance to purchase DPRK published material that has been translated into English and other foreign languages. Workers' Party Foundation Monuments - impressive monument consisting of a hammer, sickle and brush. Masikryong Marathon - you can run the half marathon (21.0975 km) or the amateur marathon (10 km). Drive to Wonsan City - we head further east to the coast. This is a major port city in the DPRK. Many Koreans returned from Japan in the 1960s and 1970s by ship via Wonsan. 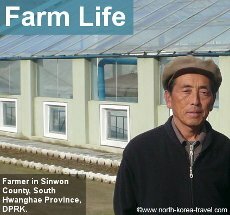 Local Cooperative Farm - see how Koreans live and work in this cooperative farm. Ulim Waterfalls - these were discovered by soldiers in 2001. Ullim means echo in Korean. Cycling in Pyongyang! Helmets on! We will cycle in the city centre around 4km, unique and very uncommon way for foreigners to explore the capital city of North Korea. Depart to Kaesong (Panmunjom, the DMZ) - we will have a break in the middle. As we approach Kaesong we will be able to see on our right hand side the famous Kaesong Industrial Complex as well as the train station that leads to South Korea and is still not in use. Please note that there are military points on the way and it is forbidden to take pictures of these. We will be notified before passing each check-point. 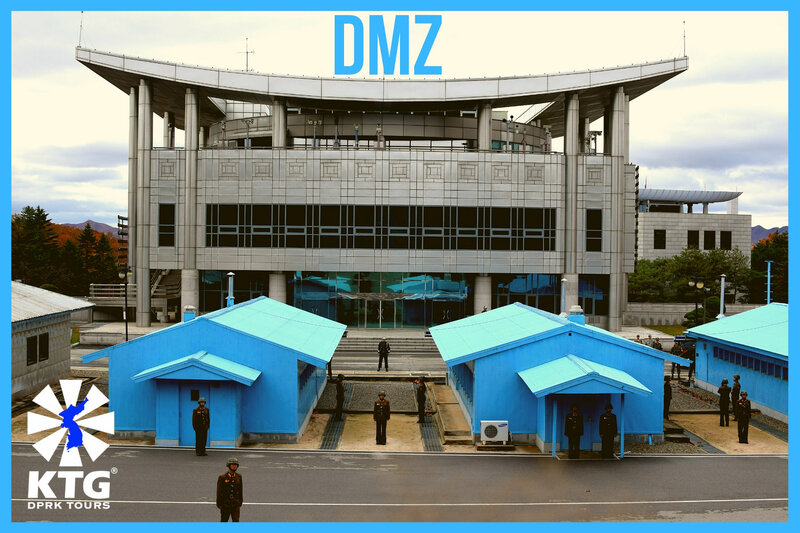 38th Parallel - chance to enter the famous blue negotiation rooms where talks between North & South Korea take place. We will also be toured around Panmunjom, see where the armistice was signed and we will be escorted by a DPRK soldier on our bus as is required on all tours. 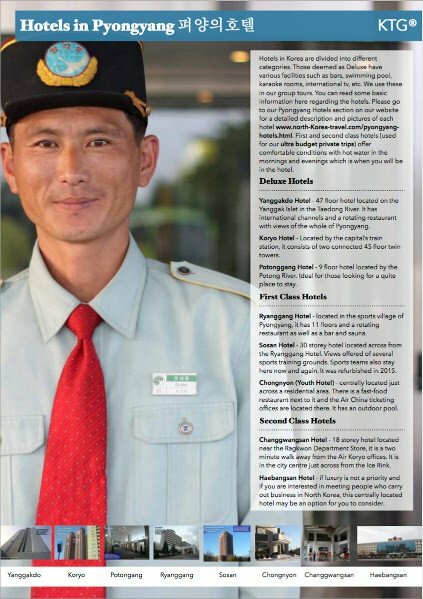 Most soldiers are intrigued to see what travellers think of the division of Korea and this presents a great opportunity to have a Q&A session with a DPRK soldier. The trip to the DMZ is too a highlight of our DPRK National Day Tour. 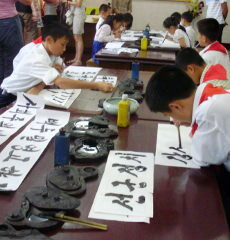 Koryo Museum (Kaesong) - originally a university in the Koryo Dynasty it shows what life was like then. Stamp shop - a great selection of DPRK stamps and souvenirs available in this shop located just outside of the Koryo Museum. Lunch: Tongil Restaurant (Kaesong) - The name means Re-unification Restaurant. Dishes are served in covered golden plated small bowls. With 12 bowls per person there is a lot of variety in the food served! Drive to Sariwon City - we will explore the folk street in this city. Mount Kyongnam - a 5 minute up to the local pavillion will allow us have impressive views of the whole city. 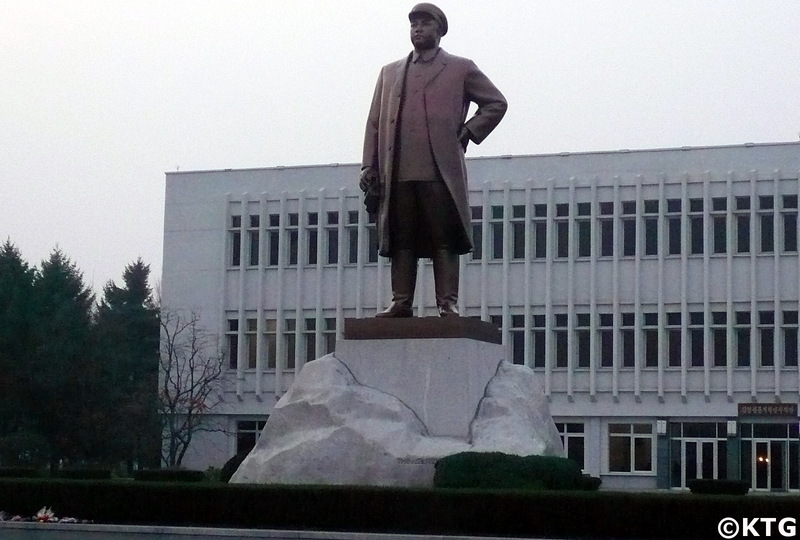 Please go to our North Korea Tourism page to see more information on other tours that we offer other than our Masikryong Ski Resort Marathon Tour.